From ancient Greeks, Africans and to Tibetans and Hindus, rainmaking was an act of the Gods. Mythologies around the world identify specific Gods or Goddesses associated with rainmaking, with divine or supernatural powers to manipulate weather. In Greek legends, it was God Zeus, the ruler of the heavens, who commanded rain, clouds, thunder and lightning. According to Hindu lore, it is the God king Indra who controls rain, lightning, thunder, storms and river flow. Today, rainmaking is no longer a divine task. Nor is it a process belonging solely to nature. 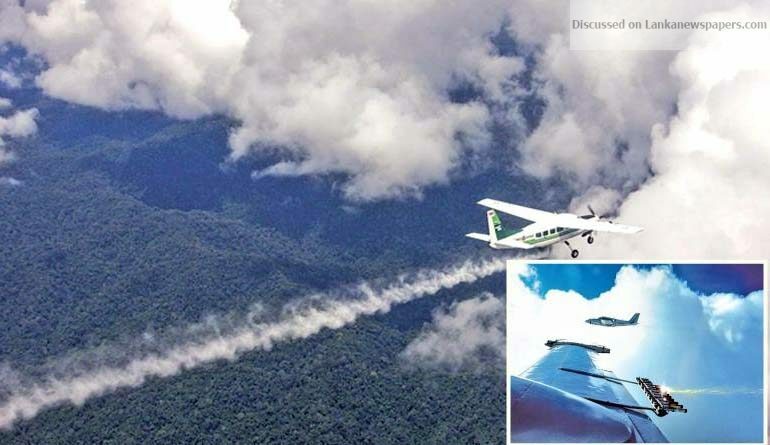 Since the 1940s, humans have taken over the rainmaking task with rain seeding mechanism, which results in rain. With the reduction of rainfall around the world, this process of artificial rain making has gained popularity. As per data from a report of World Meteorological Organization’s Expert Committee on Weather Modification Research, in October 2016, there were 56 countries around the world with active cloud seeding programs. Last week, Sri Lanka sought the assistance of a group of Thai experts to check the possibility of creating artificial rain, especially, in the catchment areas where power generation takes place. “Due to decreasing rainfall in the catchment areas, there is a hydropower shortage, approaching. Therefore, we are trying to discover a way to continue electricity supply without power cuts. This is one such attempt,” said the Secretary, Ministry of Power and Renewable Energy, Dr. Suren Batagoda. He went on to explain that the power sector is heavily dependent on rainfall and during the last few years this reduction of rainfall had drastic consequences on the sector. Accordingly, in 2015 hydropower generation was 4,924 GWh which dropped to 3,990 in 2016 and shrunk to 3,075 by 2017. Meanwhile, thermal energy production has increased from 6,766 GWh in 2015 to 10,232 by 2017. “In 2015, we made a profit of Rs. 20 billion, since the generation of hydropower was cheap and cost Rs. 15.95 per unit. However, in 2017 we incurred a loss of approximately Rs. 38 billion, since the generation of thermal energy is more expensive and costs Rs. 21 per unit,” said Dr Batagoda. He explained, if rainfall continued at the same rate, it would have been possible to generate profits via hydro power generation. In 2016 and 2017, there was cloud cover over the island, which was blown away by the wind, resulting in less rainfall. Many clouds formed in the sea pass across the country, since it is an island. Dr Batagoda said what they attempt is to make these clouds produce rain, in the process. Is artificial rain a solution? 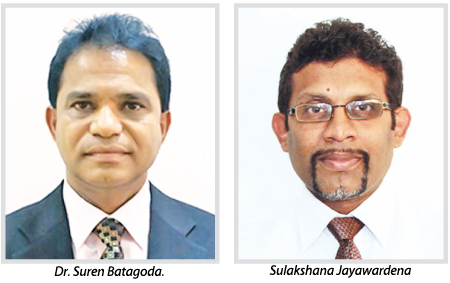 Speaking of cloud seeding, Director (Development) and Media Spokesperson to the Ministry of Power and Renewable Energy, Sulakshana Jayawardena said, the plan is to harness more rain during the monsoons, when cloud cover is greater. In recent times, rainfall has become increasingly sparse during the monsoon period. “ Countries such as Thailand, China and Australia use this technique to make rain. The Director General and Experts from the Department of Royal Rainmaking and Agricultural Aviation of Thailand, visited Sri Lanka, and based on their initial observations, findings and recommendations, it is possible to carry out rainmaking in Sri Lanka,” Jayawardena said. Thailand has been making rain since 1969. They have also created artificial rain in Sri Lanka back in 1981, when the country was undergoing a period of severe drought. Jayawardena said, the Thai experts have noted that certain conditions should be satisfied prior to commencing the rainmaking process. The first is to gather proper weather data on wind speed, humidity of clouds and height of clouds. The second is, a weather radar to monitor the conditions. “Also, there is a special aircraft needed for the process. If we propose to use an aircraft we already have in the country, certain adjustments are needed,” he said. The project will be a collaboration between Sri Lanka Air Force, Department of Meteorology, Ministry of Mahaweli Development and Environment, and the Ceylon Electricity Board (CEB). Jayawardena said, a steering committee will be formed with all stakeholders, and members of the stakeholder institutions would be sent to Thailand, to receive relevant knowledge and exposure prior to beginning the process. Currently, the plan is to begin rainmaking within this year. “However, before we initiate the project, we need to take Government approval and also raise public awareness,” he said. 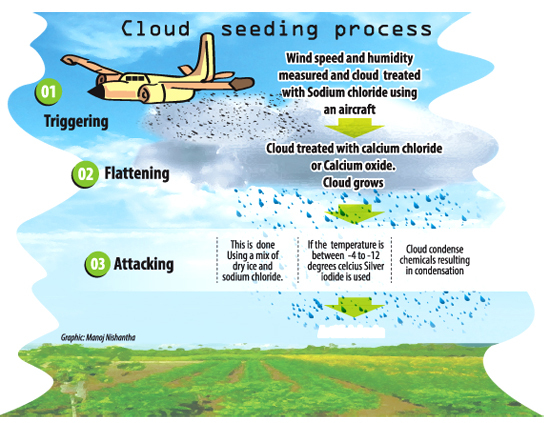 Cloud seeding is a process where rain is triggered artificially. Dr Batagoda explains that artificial rain is created by adding chemicals to the cloud to condense it, which then begins to rain. “This can also be used to increase the rainfall when it’s already raining. By using technical methods, it is possible to control the area that receives the rain, the duration of the rain and the volume of the rain,” he said. He added that satellite and radar are used to access the height and density of the cloud. The process was initially suggested by Louis Gathmann in 1891, and theorized in 1930 by the Bergeron-Findeisen process, before Dr Vincent Schaefer accidentally stumbled upon it while attempting to create artificial clouds. Jayawardena said, for cloud seeding, the humidity rate has to be greater than 60 percent, the cloud has to be at a height greater than 3,000 feet and wind speed less than 20 notches. He added that different chemicals used in the process have different roles in the process. These chemicals include sodium chloride, calcium chloride, calcium oxide, silver iodide and dry ice. Dr Batagoda noted that this process is equivalent to building a power plant. He said, it can also be attempted for agricultural purposes in drought ridden areas, provided there is an adequate cloud cover. However, Jayawardena said, according to Thai experts, there is no negative impact on the environment or health from the use of these chemicals. Also, The Independent notes that there are unforeseen outcomes to cloud seeding, which includes: the sudden temperature drop experienced by China in 2009, 600 accidents caused by heavy rainfall in Dubai in December 2017 and flood damage in Saudi Arabia in 2009. Dr Batagoda admitted that there is a need to access the high and low rain impact on the country prior to cloud seeding. “If floods or landslides occur due to cloud seeding, fingers will be pointed at us. So we need to be careful,” he said, adding that a social environmental impact assessment will be conducted prior to initiating the project. Jayawardena said, since the amount of rain and the area that will receive the rainfall can be pre determined, such issues will not occur. He added that a preliminary study on this was conducted and the way forward has to be decided based on the outcomes. “The overall impact is being measured by the CEB,” he said, adding that costs of the project are yet to be finalized.